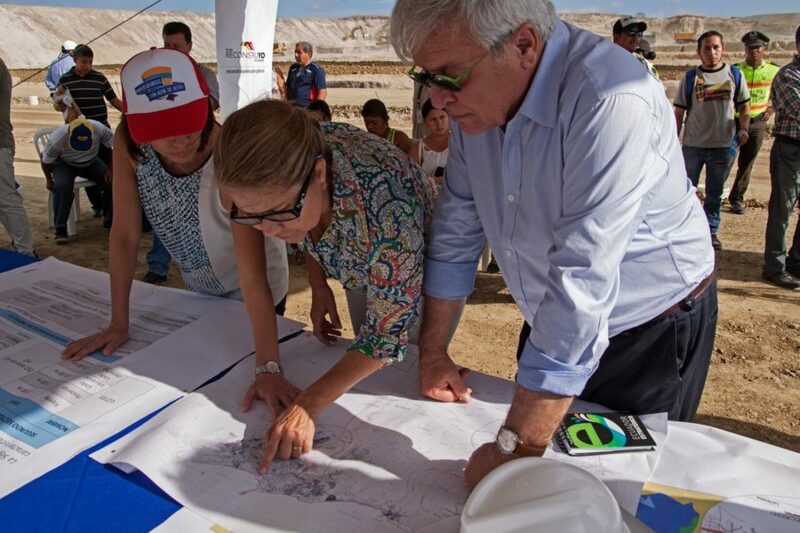 Dr. Joan Clos, the Habitat III Conference Secretary-General, and María de los Ángeles Duarte, Ecuador Housing Minister, visited the zones affected by the 7.8-degree earthquake that hit the epicentre in Pedernales on the 16 April 2016. They walked through ground zero of Manta and Portoviejo, observing the buildings that survived the quake as well as those that were vastly destroyed, noticing that many of the latter were not built in compliance with certain building laws and regulations designated by the State for that area. The discussion then focused on how to reconstruct the zone in a more resilient and sustainable way, endorsing local authority’s capacity to make rules and regulations effective and underscoring that the challenge in addressing a post-earthquake Ecuador lies not only in rebuilding homes but in building the path towards resilience with integrated urban plans.